So Nick was out of town for pretty much the entire month of October, off working and playing in Key West… tough life. I missed him, but, I won’t lie, I also really enjoyed coming home after work and not having to cook, clean or be social. I caught up on trash TV, finally finished a book I started months ago, and even squeaked out a couple blog posts. The day after Nick got home, my dad and stepmom arrived for a visit and the whirlwind of life resumed, fast and furiously! We had a great time having guests in town. We took them to see the jets and my dad got to fly the simulator. 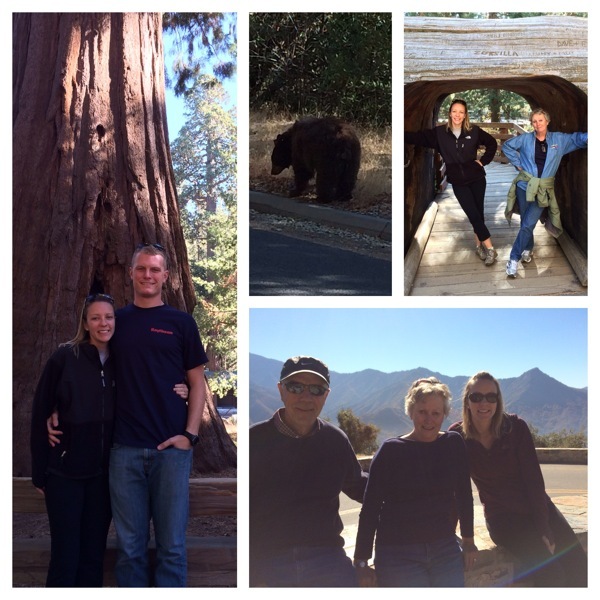 We visited Sequoia National Park where we saw huge trees, crystal caves and a real, live bear (just chillin’ on the side of the road)! 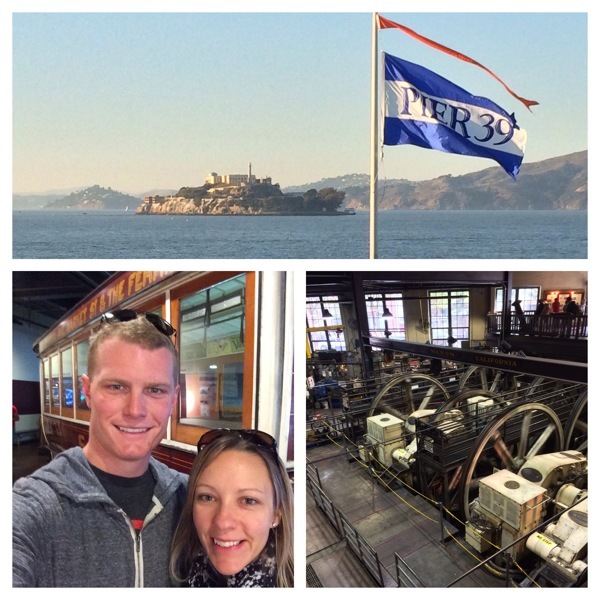 Then it was off to San Francisco where we ate 100 pounds of delicious food, walked 10,000 miles– seemingly all uphill, and did lots of touristy things. Nick’s been slow at work since he got back from Key West, and since I’m in depression over daylight savings ending and pretty much refusing to do anything productive after leaving work in the DARK, he’s been nice enough to make dinner for ME a couple times recently! 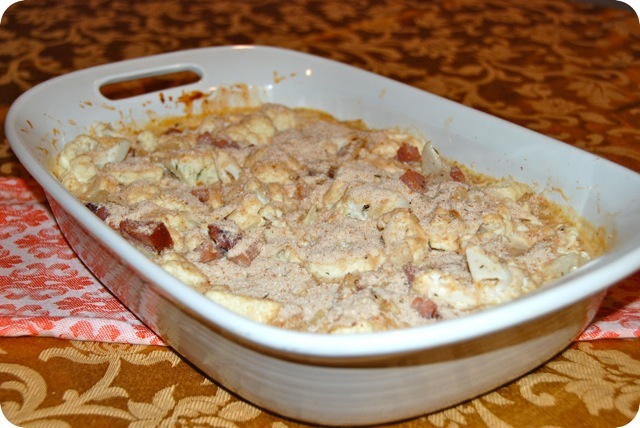 One night he made me this delicious Cauliflower and Ham Gratin. I pretty much wanted to drink the sauce. It was SO yummy. I think if he keeps this up, I’ll be on the road to obesity sooner rather than later, but for now I’ll take it! Melt the butter in a large saucepan over medium-high heat. Add the onion and cook until softened and light golden brown, about 6 minutes. Add the ham and cook 2 minutes. 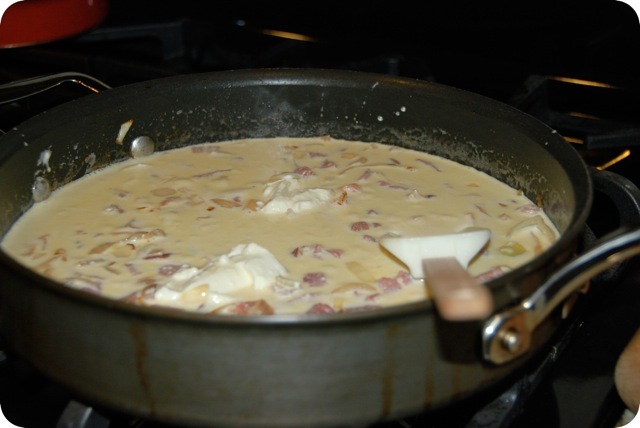 Add the cream, milk, cheese, 1/4 teaspoon salt, and 1/4 teaspoon pepper and bring to a boil. Reduce heat to medium-low. Simmer until thickened, about 4 minutes. 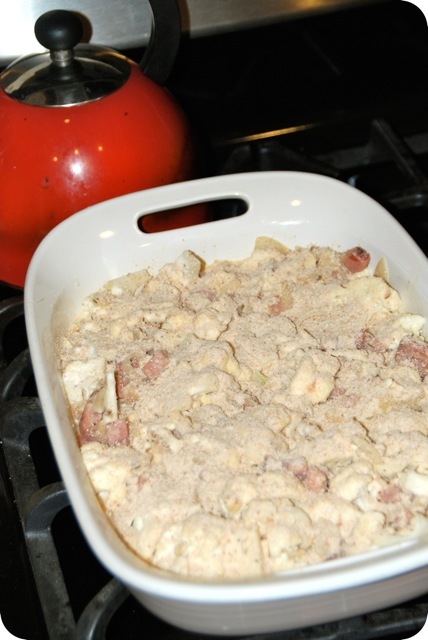 Transfer to a 2-quart casserole dish and sprinkle with the bread crumbs and thyme. Cover with aluminum foil. Bake 20 minutes. 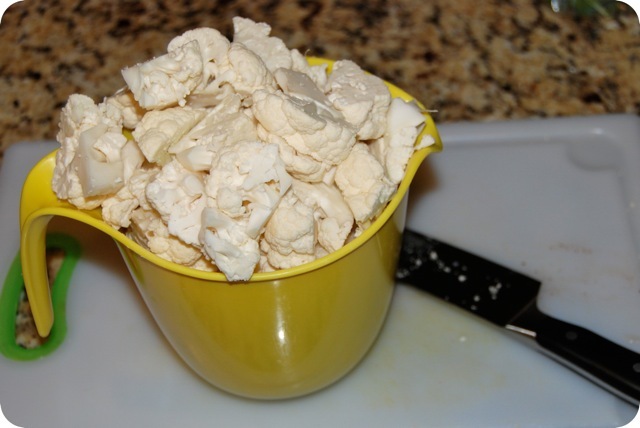 Uncover and continue baking until the cauliflower is tender, 15 to 20 minutes. Remove from oven and let rest at least 5 minutes before serving. This may not be the most photogenic of dishes, but man is it tasty. It would be a great Thanksgiving side, but also works as a meal, served with a green salad on the side. Enjoy! 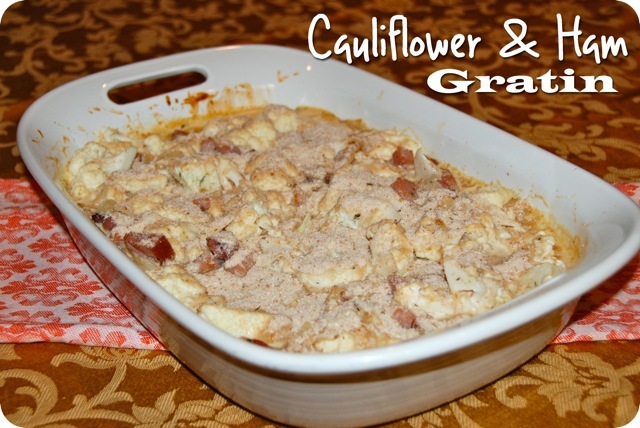 If you love cauliflower, try this AMAZING Bacon Cheddar Cauliflower Chowder!